This question is usually met with mixed feelings. There are the ‘traditional’ ways of conducting FOTF with contestants lining up, parading their outfit in heats, possibly being selected until it’s narrowed down to usually a top 10. Then there’s the Fashion Chute. No parading of outfits, no heats but finalists selected after having a full length photo taken. On one hand this gives contestants who are not confident on the runway a chance to shine but on another it takes away the opportunity for those competitors who revel in this opportunity to have some fun on the catwalk, not to mention all the business's like milliners who lose the opportunity of seeing their items proudly displayed and viewed from multiple angles. I have entered both of these competitions and I’m still not sure how I feel about the fashion chute. I enjoy the excitement of lining up in heats and getting to know the other contestants. Many of my good friends are fellow FOTF enthusiasts. I love seeing what other people have created with their outfits. But it can be time consuming and there’s a lot of waiting around which doesn’t leave much time for anything else, like the actual horses and horse racing. Having your photo taken is a whole different ball game. What if I don’t know how to stand, where do I look, which part of my outfit do I want to showcase, will my outfit photograph well against the background? That’s quite a lot of questions for one photo. At the end, you do get a professional looking photo to take home which is nice, a momento of the day. I recently took part in two fashion photo competitions. 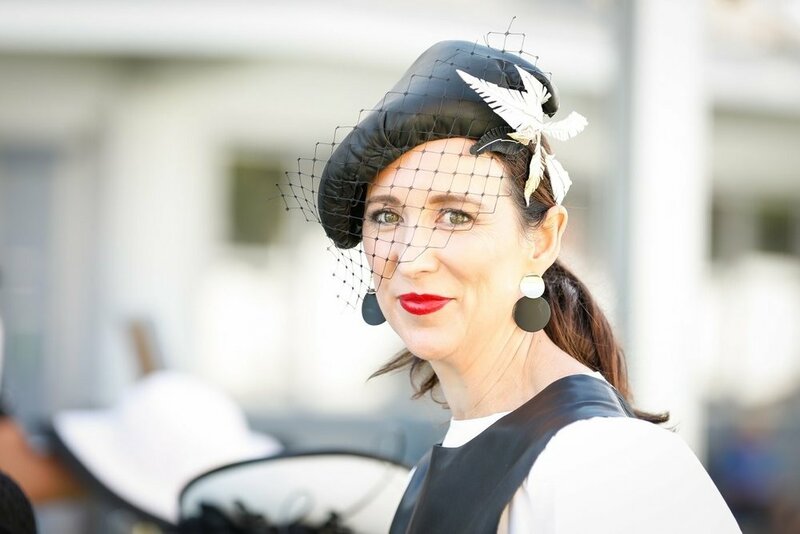 One in Canberra for Black Opal Stakes Day and one in Sydney for The Championships. I also did several of these photo competitions in Sydney last year so I felt like I had some sort of idea of what to expect. 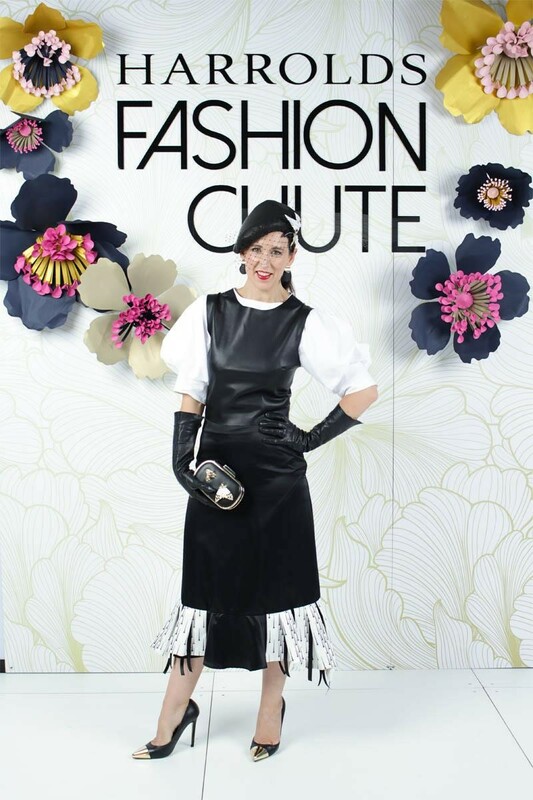 The rise of fashion chute style events mean the attention to detail the the competitor and the labels they wear go missed as demonstrated in this and the following photo shared by Sally Martin (Photo credit ATC races). The back of this outfit is so divine but was never judged!!! What a waste. 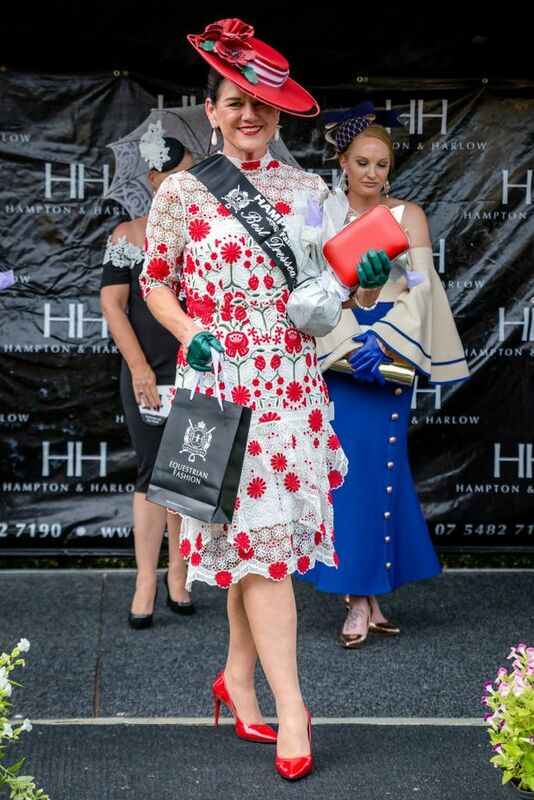 Here is my finalist stage photo wearing Allport millinery, Sovata dress and clutch from Best Dressed Accessories. However, at the end of the day, some people have more confidence in parading their outfit while others are happier to pose for a photo. I think I fall somewhere in between! No matter the outcome, as long as you’ve enjoyed putting your outfit together, feel great wearing it, laughed with friends while sipping champagne - then you’re a winner. And now that I’ve written this blog and have had time to reflect, I think I’m a traditionalist and prefer the social aspect and excitement of parading my outfit on the stage!